Thai cuisine is likely to be one of the first things that comes to one’s mind when thinking about Thailand. There is no better way to learn Thai cooking than joining our Thai Cooking Class. Our cooking school is located next to one of the famous fresh produce markets of Bangkok: Bangrak Market. This is an opportunity to learn how to prepare some of the most famous and delicious Thai dishes by yourself. 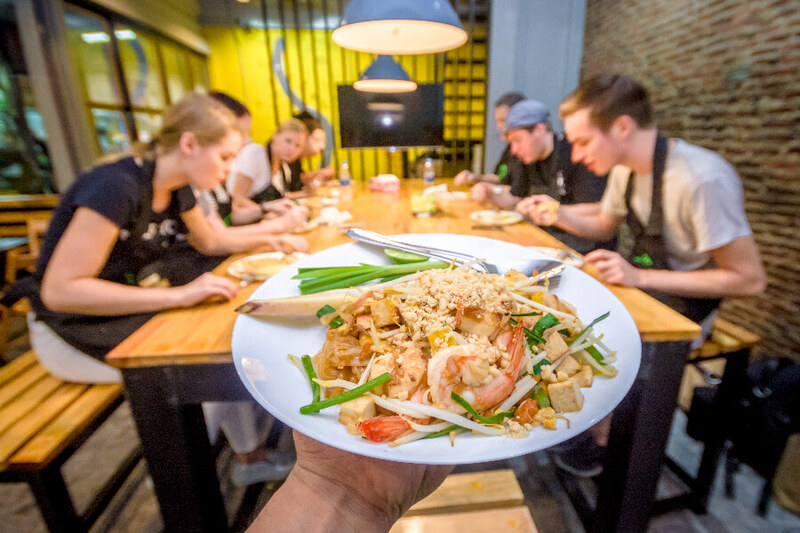 A professional Thai cook will guide you through a session of completely hands-on and fun-filled course emphasising the art of fine Thai cooking in a relaxed social environment. Before you begin cooking, you will be guided through Bangrak Market to buy the freshest local ingredients. At the end of the day, you will receive a recipe booklet that enables you to make your favourite Thai dishes again once you are back home.